Over the last ten years Honda have established themselves as a brand who are renowned for the creativity of their advertising, from TV ads to print campaigns. Their latest effort builds upon the brands sponsorship of Channel 4 documentaries during 2010 with the release of a series of mini-documentaries, an online hub and sponsorship idents for the channel in 2011. The new campaign created by Wieden + Kennedy London, W+K will feature brand led films starring real life customers who use their Honda products in a unique way. If you think you have a unique use for a Honda product you could see your story featured on TV. Whether you use your Honda Civic as an ice cream van or your leaf blower as a hair dryer for your Great Dane they want to hear from you. All you need to do is visit the 'Take Part' section of the website and upload your unique story with accompanying photographs. The favourites - chosen by Wieden Kennedy - will be turned into the final mini-documentary and idents for the channel. 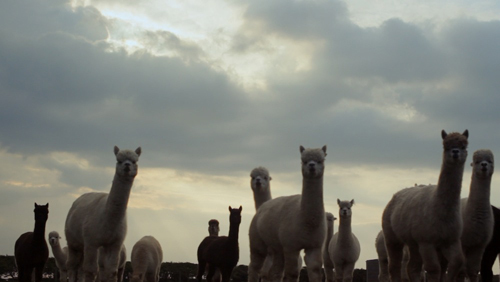 The first of the four mini-documentaries features Philippa, an Alpaca breeder from Oxfordshire, who tends to her amazing animals using her Honda ATV. This film and the following three all have extra supporting content which can be found on Honda's online hub and Facebook and Twitter activity will support all phases of the campaign. The next documentary is titled Night Fishing so keep your eyes peeled for that one. It will be interesting to see the response to this campaign from the public, will it live up to past successes? It certainly has a unified feel, crossing from TV to online to social media and making the customer the star could prove to be a clever move. We look forward to seeing the campaign develop.